Coimbatore is a city in the south Indian state of Tamil Nadu. To the northwest is the centuries-old, Dravidian-style Arulmigu Subramaniyaswami Temple, Marudamalai. The colorful and intricately carved Arulmigu Patteeswarar Swamy Temple lies southeast of here. In the center, the Gass Forest Museum has a huge collection of preserved animals and tree trunks. Southeast, birds and butterflies inhabit Singanallur Lake. Subramaniyaswami Temple, Marudamalai is a popular 12th century hill temple dedicated to Hindu god Murugan, situated near Coimbatore, Tamil Nadu, India. It is considered as the Seventh House of Lord Murugan.Like most Murugan temples, the temple is situated upon a hillock, part of the Western Ghats about 12 km west from the city of Coimbatore. Thai Poosam and other Murugan festivals are celebrated.The name 'Marudham' is derived from the native trees marudha maram (Terminalia arjuna) present in the hill where the temple is situated and 'malai' in Tamil language is meant hill or mountain. The Dhyanalinga is a Yogic temple located 30 km (19 mi) from Coimbatore, Tamil Nadu. The temple was consecrated on June 24, 1999 by Sadhguru Jaggi Vasudev, a yogi and mystic. The temple is consecrated using prana prathista and is dedicated for meditation. Silence is maintained inside the temple. Dhyana is a Sanskrit word which means meditation, and linga means form. Dhyanalinga is claimed by the owners of the temple to be a powerful and unique energy form created from the distilled essence of yogic sciences and the first of its kind to be completed in over 2,000 years. According to Sadhguru, the Dhyanalinga has all the seven chakras fully energized to the very peak.The Dhyanalinga Yogic Temple offers a meditative space that does not ascribe to any particular faith or belief system. Black Thunder is a water theme park located in Tamil Nadu, India. It is situated at the foot of Nilgiris near Mettupalayam, in Coimbatore 40 km north of the city and occupies an area of about 75 acres (300,000 m2). The park offers about 49 rides, Surf Hill and the Wild River Ride notable among them. The park has a hotel situated within its premises. Siruvani Waterfalls and the dam named after them are located 35 km (22 mi) west of Coimbatore in the Western Ghats. The reservoir at Siruvani was built for Tamil Nadu by the Kerala government with funds collected by the Tamil Nadu government to meet the drinking water requirements of Coimbatore. The gateways on either side of the road across the dam are typical of the Kerala and Tamil architectural styles. Siruvani is also home to certain tribals like the Mudugars and Irulars. Water from Siruvani River is renowned for its taste and mineral properties, and the view from the falls and the dam is a tourist attraction. Perur Pateeswarar Temple is a Hindu temple dedicated to Shiva located at Perur, in western part of Coimbatore in state of Tamil Nadu in India. The temple was built by Karikala Chola.The temple is located 7 km west of the Noyyal River and has been patronized by poets like Arunagirinathar and Kachiappa Munivar. Lord Shiva, known as ‘Patteeswarar’, is the presiding deity of this temple together with his consort Parvati, who is known as ‘Pachainayaki’. The deity is believed to be ‘Swayambu Lingam’ (self emerged). The pillars raised in this temple depict the architectural prowess of the Tamil sculptors. Kovai Kondattam was built by V. Ajithkumar, V. Sanjay and G.S.Vijaybraw in Perur, in Coimbatore, Tamil Nadu, India. The park offers attractions such as Aqua dance, Wave pool, dashing cars, Rock Climbing, Hara-kiri & video parlour. The park also has facilities to celebrate birthdays, weddings and anniversaries. It has an amphitheatre to hold live performances. This theme park was opened By Tamil Actor Vijay. Monkey Falls are natural waterfalls located near the uphill ghat road Valparai on the Pollachi-Valparai road in the Anaimalai Hills range, in Coimbatore district. Monkey Falls is about 30 km from Pollachi. Refreshing Natural Water Falls about 6 km from Azhiyar Dam. Monkey Falls is located on road connecting Pollachi and Valparai. The Vydehi water falls is situated some 35 km away from the Coimbatore city. People who pay a visit to Coimbatore must make it a point to visit the Vydehi water falls, as it is one of the most familiar water fall and is highly known for its magnificence. The falls has pulled towards itself a large number of visitors because of its scenic attraction and beauty. People can avail a taxi or cab to pay a visit to the extravagant Vydehi water falls. 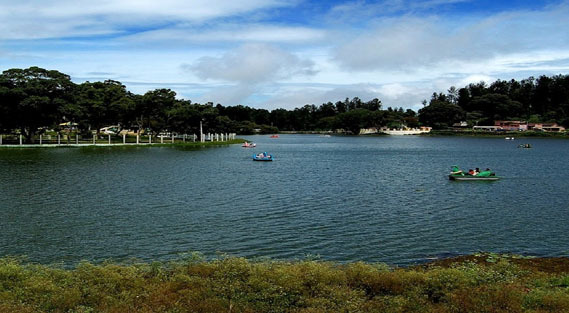 This can be placed on top of the places-to-visit list when planning a vacation to Coimbatore. People can indulge into utmost pleasure of the scerenity of the place and can make their trip worth remembering by visiting these falls. This revered hill temple is situated some 40 km away from the city Of Coimbatore. The temple has essentially been dedicated to lord Siva and sits on the Vellingiri Hill which has an imperial altitude of 6000 feet. The Vellingiri hill temple is contemplated to be the most conspicuous worship abode in and around coimbatore and an immense number of tourist groups visit this hill temple to offer their prayers. Furthermore, the hill is known for its exorbitant natural resources. If you have the knowledge of heral science, you will be able to find several varid essential rare herbs grown on the hill, which are used for medication. The Vellingiri hill temple has the main deity as lord Shiva, and people visiting this temple can indulge into the pleasing aura of the ambience and offer some heartfelt prayers. Kovai Kutralam falls is an exhilarating water fall located in the scenic region of Siruvani. The water fall is about 37 kilometers away from Coimbatore city and the water fall is predominantly manifested for its exaltedness. The water fall is set in the deepest fragment of the impenetrable woodland and due to this reason vacationers are not conceded to visit the falls after 5 pm. The key inception of drinking water in Coimbatore is supplied by Siruvani. Tourists cannot make their visit to this falls anytime because only few numbers of buses are available to visit the place. With a sterling panoramic view, the dam is a place that will leave you not just enchanted but also fill you with inner joy. Located in the centre of the city of Coimbatore in Tamil Nadu, India; the Sree Ayyappan Temple is a significant temple that is dedicated to Lord Sree Ayyappa. This temple in Coimbatore has been built on the same lines as of the original Sabarimala Temple in Kerala and thus is rightly honoured as the second Sabarimala Temple by devotees. In fact, not only the style of architecture but also the styles and methods of performing pooja at both the temples are similar. A visit to the Ayyappan Temple would thus make you feel as if you are in Kerala. The Ayyappa Temple has been built following the traditional styles of architecture and is a pure delight for architecture lovers, history buffs as well as religious devotees. The temple attracts a huge number of devotees from all across the country all year round. These pious devotees visit the temple to seek the blessing of Lord Ayyappa, as well as use the temple as a mid-station for rest before they set out on their Sabarimala Pilgrimage. The temple is well known for its purity and divinity, and also has shrines that are dedicated to other Gods such as Lord Shiva, Sri Murugan, Lord Vinayagar, Maha Vishnu and Durga Ji. The Dhwajasthambha of the temple is covered with gold, making the temple a one of its kind in Tamil Nadu. Festivals like Makaravilakku Day, Nagarajas Pooja, Ashtadhravya Ganapathy Homam and Navratri are also celebrated each year at the temple with great zeal and enthusiasm, making the temple truly a devotee's delight and one of the must-visit places while on your next trip to Coimbatore. The Siruvani falls and dam is situated some 37 kilometers to the west of Coimbatore city amidst the lush green Western Ghats. The river is clean and offers to its visitors some sensationally tasty water. This Siruvani water falls is the chief source to supply water to Coimbatore city. With a phenomenal all-encompassing contour, both the dam and water falls is extremely alluring and astounding.The dam is interwined by underways and aqueducts for harnessing the hydel energy for power generation and irrigation purposes from Aliyar, Parambikulam, Nirar, Sholiyar, Thunakadavu, Palar, Thekadi rivers. This is an excellent example for a engineering marvel. The Anubhavi Subramaniar temple is one of the most famous temples situated in close proximity to Coimbatore. With a spiritual aura known for its uniqueness, this temple is visited by vacationers and locals alike. One of its main attraction is the natural outflow, which expels water 12 months a year. A miraculous discovery, the temple is quite popularly known and people never fail to make it a part of their sojourn.For all those who have utmost faith in spirituality and divinity and great hopes in religious beliefs, this temple is the place to be when in coimbatore. Get lost in its sense tingling semblance and pray in a noise free and peace radiating environ. Within half an hour's drive from the city of Coimbatore stands the shrine of Vinayagar at Eachanari dedicated to the Elephant God Ganesh. The temple follows typical Dravidian style architecture and is imbibed with a peaceful spiritual vibe around it. The story of the deity follows a myth that has been passed down from one generation to the next. The tale of a cart getting stuck in the mud and a temple being created as per the God's wish a common and recurring folklore heard in many places all around India. It is more or less the same here as well. Needless to say that the temple celebrates the birth date of the deity every year with lots of grandeur and extravagance and invites more people than any other day. Ganesh Chaturthi is a busy time in this temple. Devotees flock here to show their devotion to Lord Ganesh every day, and the more pious and devout ones choose the early morning Homam yajna or fire ritual to attend. This is a costly affair, to both perform the offerings as well as to witness, because it is one of the most sacred forms of offerings done in any Hindu temple. ISKCON today is a massive worldwide family of devotees of Lord Krishna where everyone, without consideration of age, caste, gender, language or country can take part in active, dynamic devotional services for the pleasure of the Supreme Lord and thus gain the highest spiritual benefit possible in this human form of life. Ram Nagar came into being in 1914 and the temple came into existence in 1933. Situated in Ramnagar, the Ramar temple is one of the holy places that attract devotees all year round. Completely dedicated to Lord Ram, the rituals and ceremonies are conducted by deep faith. It is a prominent center of religious discourses and discussions in the city. One of the most visited Churches in Coimbatore city is the Infant Jesus Church. It was set up in 1984 to cater to the growing demands of the Catholic families and has become a prominent church due to the belief in cures and miraculous healing. The Church is open on most days while Mass are held on Thursdays and Sundays. Shopping in Coimbatore is quite an amazing experience, thanks to the plethora of options available. Shopaholics will rejoice to know that Coimbatore is called the Manchester of the South, as it has a thriving textile industry, and fabrics are aplenty. Make sure you shop at the main markets at Oppanakara Street, Raja Street, Ranga Gounder Street, and Sukrawar Pettai, especially known for its handloom saris. Witness a large variety of roses, marigold, carnations, chrysanthemums, and lilies at the TNAU Botanical Garden. The play of green bushes with beautiful flowers looks stunning. Spread over an area of 300 hectares, this botanical garden has some rare breeds of trees and flowers. So if you are a plant enthusiast, you must see this place. Within the premises is also the TNAU museum where you will find a collection of interesting pests, rocks, and insects. Sri Naga Sai Mandir is a Hindu temple dedicated to the Indian Spiritual Master Shirdi Sai Baba in Coimbatore in the Indian state of Tamil Nadu. n 1939, Sn. H.H.B.V. Narasimha Swamiji, sri A.V. K. Chain, Sri. H. Varadaraja Ayyah, along with his brother Sri. C.V. Rajan started the Sai movement in Coimbatore.